Saibaidee! Meaning 'hello' in Laos, a beautiful country where I had the most amazing experience for two weeks. In early January I travelled to Laos on a volunteer program. 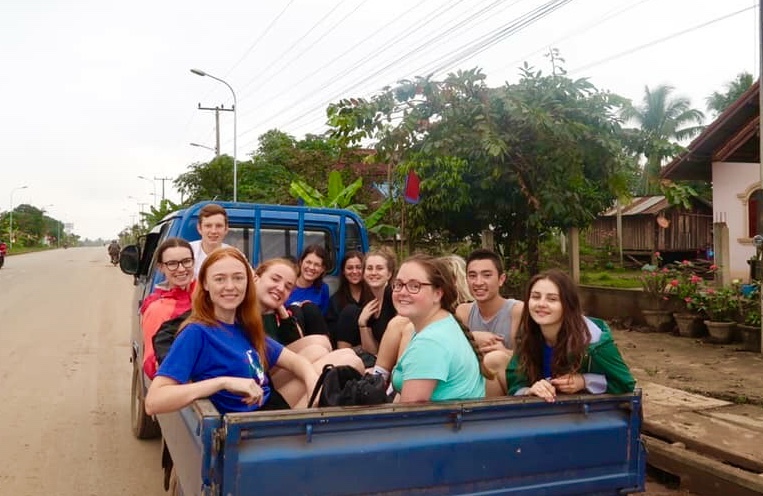 During week one we volunteered at the Elephant Conservation Centre in Sayaboury as well as a local primary school. In week two we enjoyed experiencing the Lao culture and participating in many fun activities. There's so much to write about, though I'm more excited to share the photos! So in this post, I really wanted to share with you the highlights of my trip. On the first two nights, we stayed at a hostel in the capital city, Vientiane. This was an experience within itself for me as I'd never stayed at a hostel before. I was honestly a bit nervous about sharing a dorm with strangers (as in people who were not on the program) but I had a lovely group of girls with me which helped me feel more comfortable. Staying in a hostel was a new experience but definitely a positive one! The first two days we pretty much had the entire time to ourselves with no planned activities. So a group of us decided to visit Buddha Park, a sculpture park with many religious statues (I believe it was a mix of Buddhism and Hinduism). Some of them we were able to walk up, and I cannot even describe how steep the stairs were! 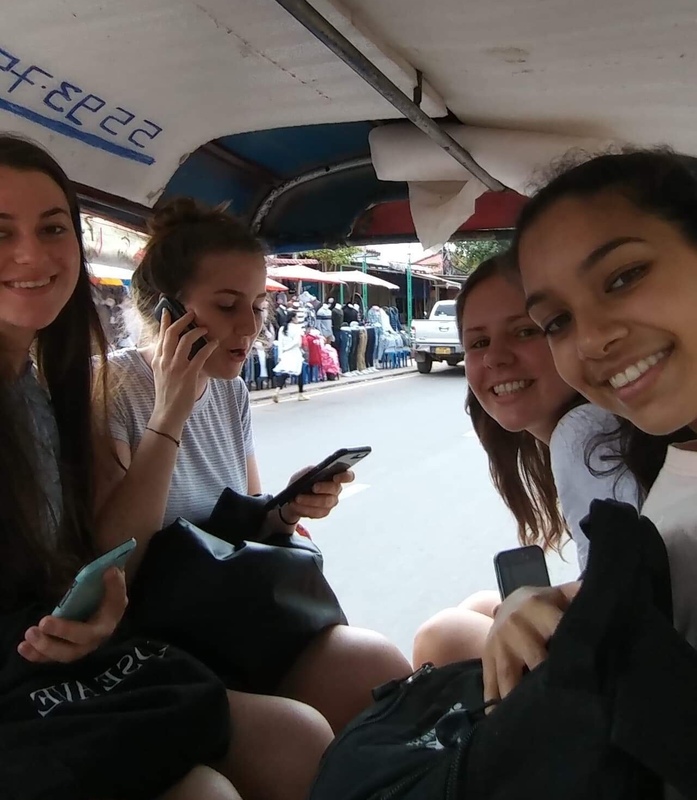 After we arrived back from Buddha park, me and three other girls, who I ended up becoming good friends with, decided on getting lunch and a Lao style massage. The massage experience was quite interesting and fun. Massages seemed to be a recurring theme on this trip as they were super cheap and really good. After that, we went to a little local restaurant and had a yummy lunch. We caught a tuk-tuk on the way back to the hostel, which was funny because we had a language barrier and the driver went the wrong way. He ended up calling someone else on the phone so that one of the girls could describe to them where we were staying. Definitely a fun and eventful first day! For the next several days we stayed at the Elephant Conservation Centre in Sayaboury. My bed was so hard I got a bruise on my hip but I didn't even mind because the entire experience at the centre was just incredible! We had to catch this platform type boat to get there. The centre was situated right by the water and backed into the jungle. 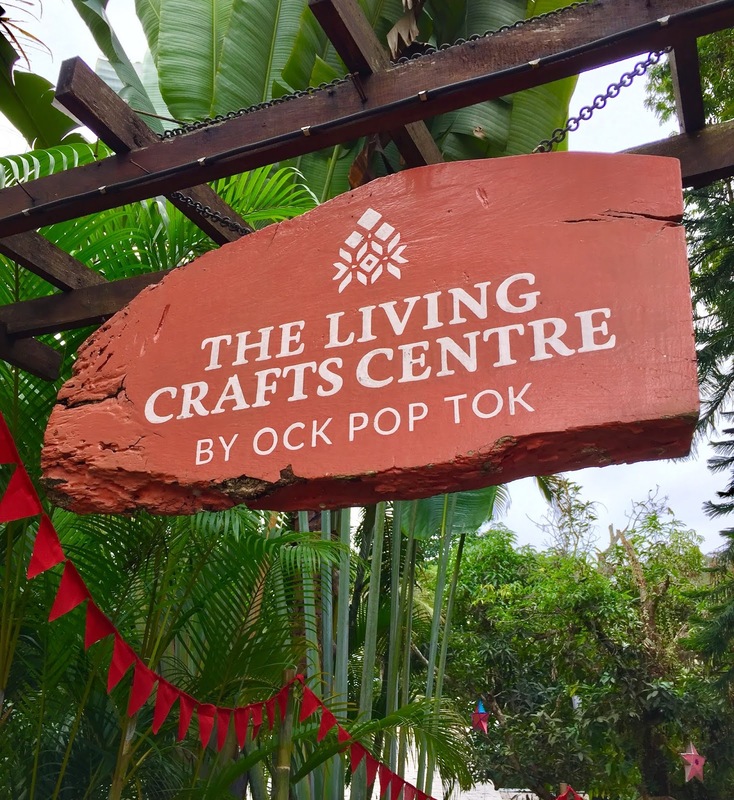 What I love about the elephant conservation centre is that it is not 'tourist' focused. 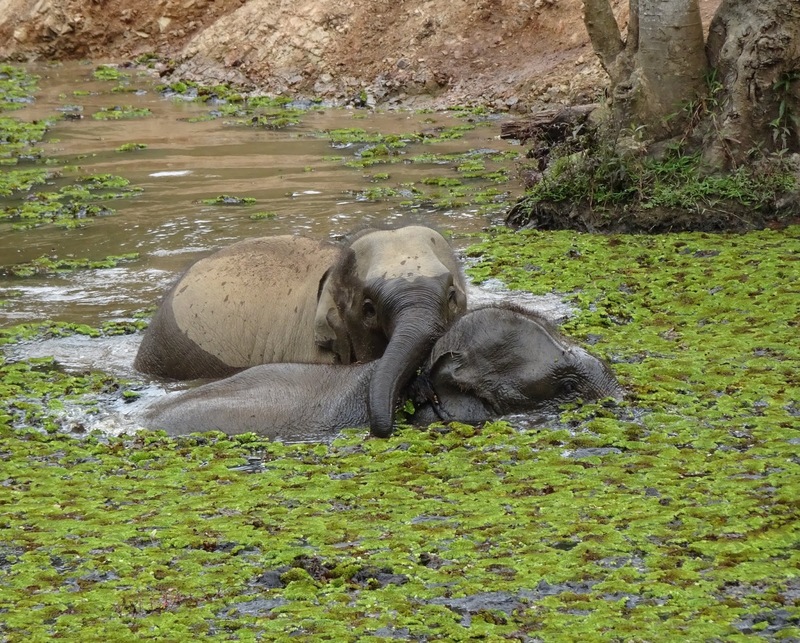 The elephants are in their natural environment and there is no elephant riding or logging at this centre. I am very glad that I was able to volunteer at such a wonderful place. The first day my group was working on building part of the conservation centre. We had to hike through the jungle to get to our digging area. The hike there was far more intense than I expected but I still enjoyed it. Although the volunteering days were fun, the absolute highlight for me was when we got to see the elephants up close. Our group was lucky enough to witness the 3 and 5-year-old playing together, they were just too cute! Later on, we were able to walk with the elephants and the mahouts. When I felt the elephant it was hairy, which I was not expecting. I thought they would feel like rough skin but they actually have a fair bit of hair! During the free week, we went to see temples, caves and my absolute favourite, Kuang Si Falls. It was the most beautiful waterfall. We also enjoyed walking through markets, learning about Lao silk, going kayaking and tubing. I did feel a panic coming in the caves so I didn't enjoy that as much as I would have liked to. The idea was exciting but to be honest, I couldn't wait to get out, it was ridiculously hard to breath in there! Towards the end, we enjoyed a fun pizza pool party and all of a sudden I found myself sitting on the plane and on my way back home. There were so many things we got to experience but I wanted to share my favourite moments and photos rather than write about every detail. The moments that I enjoyed most were the definitely the elephants and the waterfall. I also met some of the most amazing people on this trip and was lucky enough to make some great friends out of it. I'd definitely go back to Laos someday! Hello, lovelies! In my most recent post, I announced my brand new Etsy store, PrettyPlanning. I talked about how I ended up in the world of digital planning in that post so if you'd like to read it you can do so here. I only had one digital notebook released when I first opened, which is the Peach Digital Notebook. I decided to release the same notebook in Pastel Blue for variety. 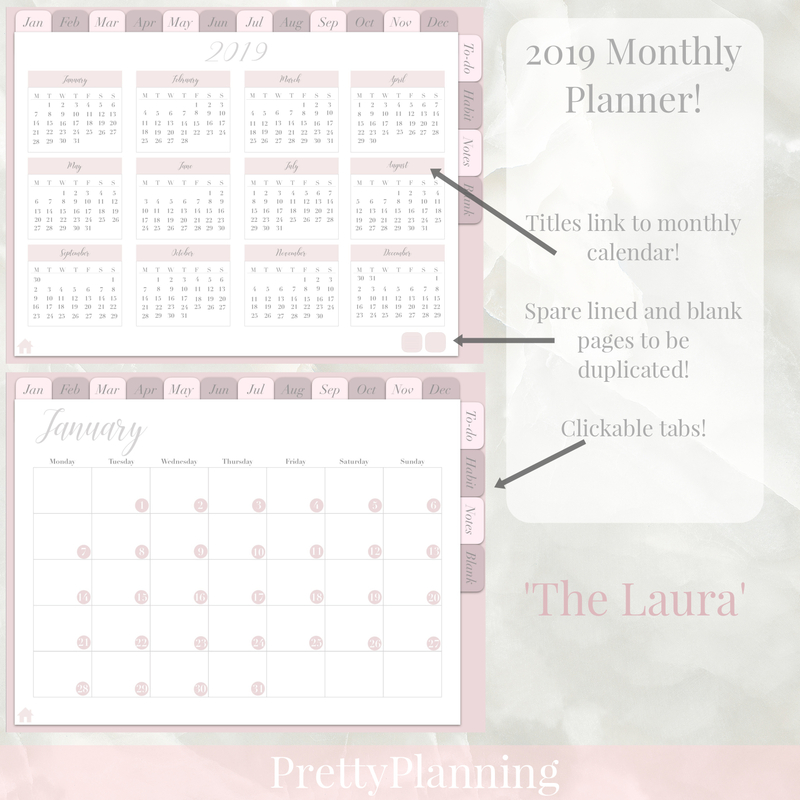 Today I just shared my first digital planner and I really love how it turned out! I put lots of time and effort into this planner and made sure to include features that I would like to use personally. 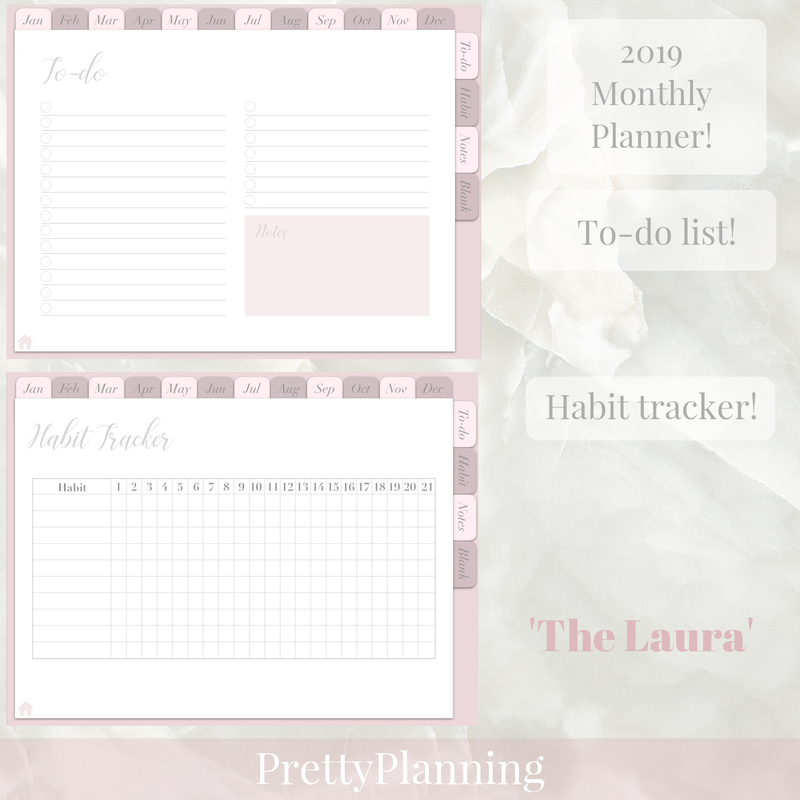 I decided to name this planner 'The Laura' as it was inspired by my co-worker and friend who loves planning and all things pink! 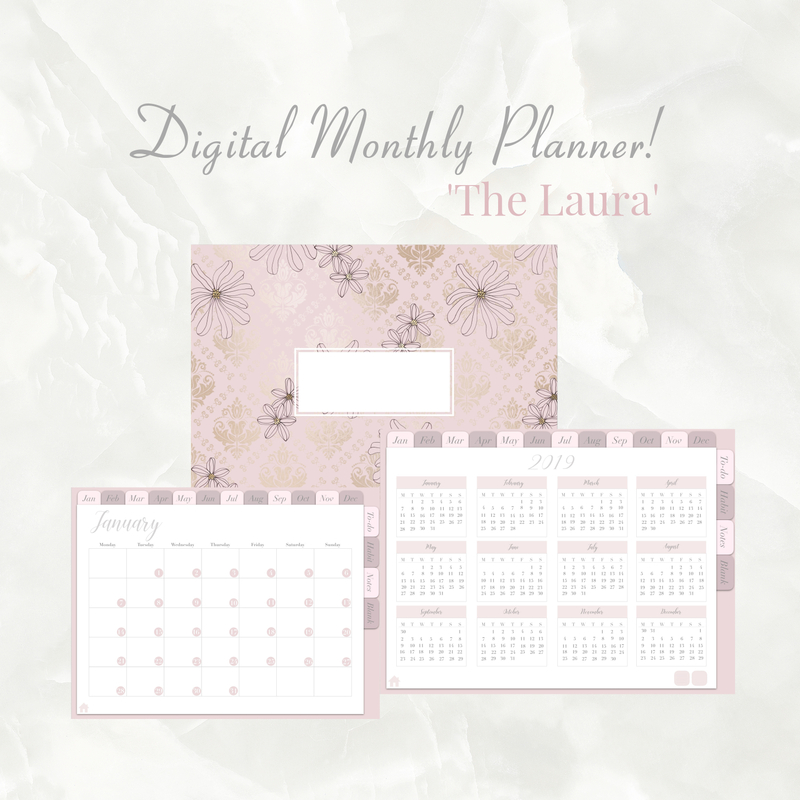 I wanted to give my lovely blog readers a special discount, use the code LOVELY25 for 25% off 'The Laura' planner! - Includes a home page with year overview, as well as two buttons that link to a spare lined and blank page (can be duplicated so you never run out of pages). - Blank section for drawing, creativity. - Contains home button at bottom of every page for easy navigation back to the main page. Important: This is a digital product that requires the app GoodNotes or a PDF reader similar. I recommend GoodNotes because it allows for the clickable tabs to function properly. If you own the Ipad Stylus you can handwrite in this, or if you prefer typing you can use the text function. I've been having the best time creating and designing these digital notebooks/ planners. My blog will still stay beauty/ lifestyle related but every now and then I will share some digital planning items! 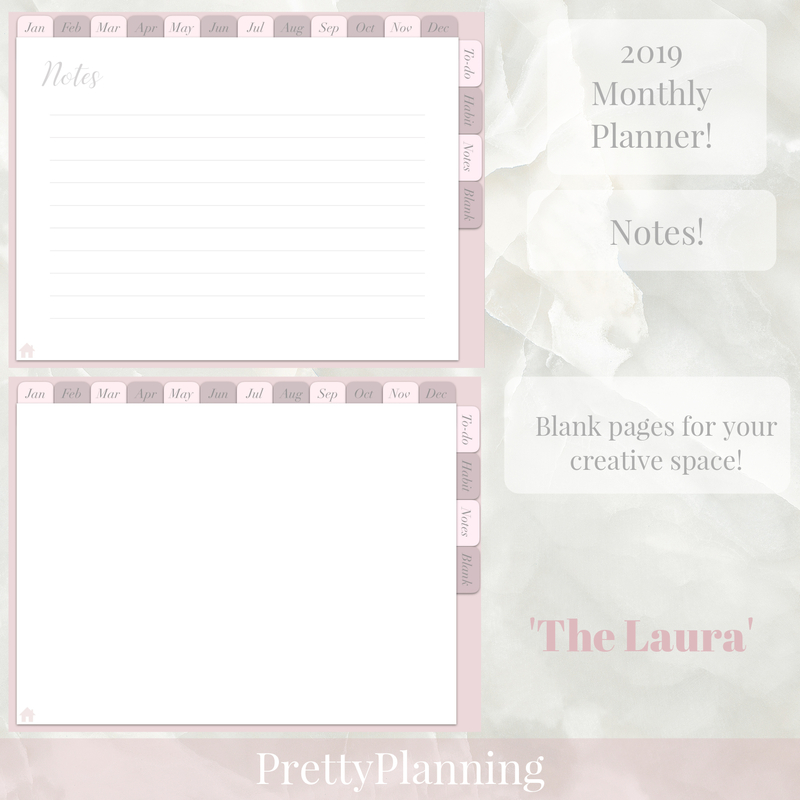 Hope you enjoyed this post and don't forget to use the code LOVELY25 for 25% off 'The Laura' planner!